More details just came in for the Code Talker promotion in Asia, and it looks like we will be following Japan’s style of getting the card! 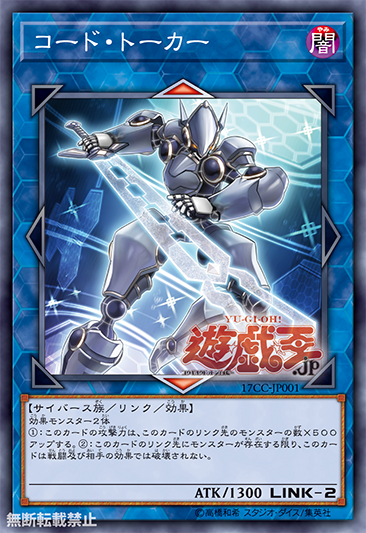 The Yugioh Edition Hong Kong Facebook page has updated that the “Code Talker” promotional card will be given out to players who visit the official card stores. All you will require is your Konami Card Game ID (Register for the Konami Card Game ID here!). The redemption period starts from September 22nd, 2017 and ends 1 month later on October 22nd, 2017. The following conditions apply. 1) Each person can only redeem the promotional card personally at the official card store, you may not redeem for other people. 2) Show the staff your Card Game ID login page. 3) Register your details with the staff. 4) Each ID is only eligible to redeem 1 copy of “Code Talker”. Copies of the promotional card is limited and available only on a first come first serve basis, while stocks last.